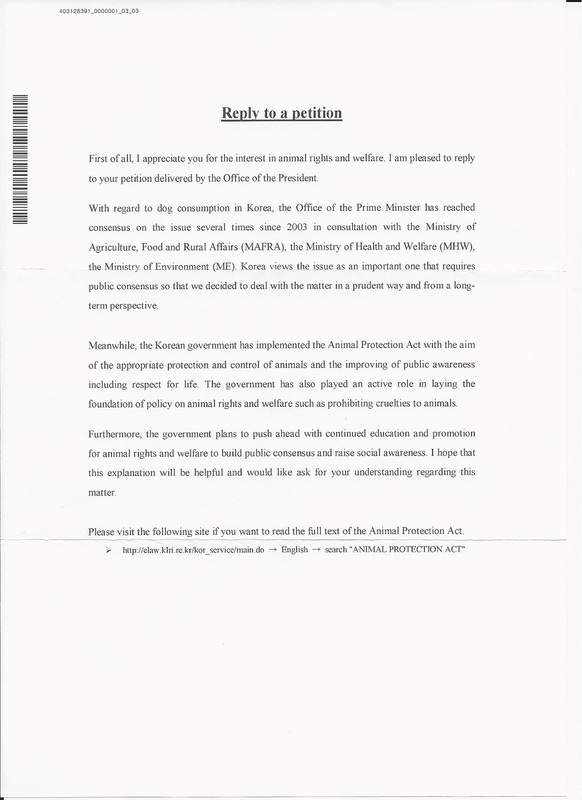 Below are response we received from the South Korean Ministry of Agriculture, Food and Rural Affairs(MAFRA). 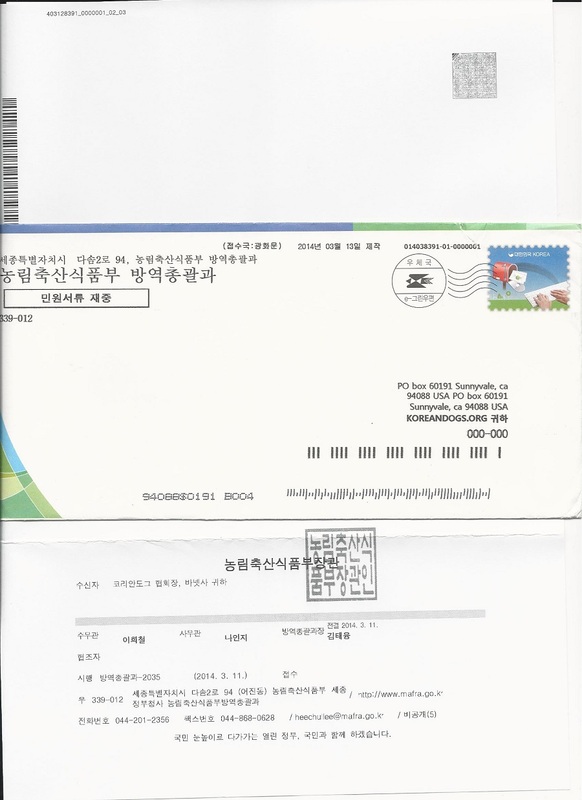 Our petition signatures sent to the President Geun-Hye Park was forwarded to MAFRA to respond. 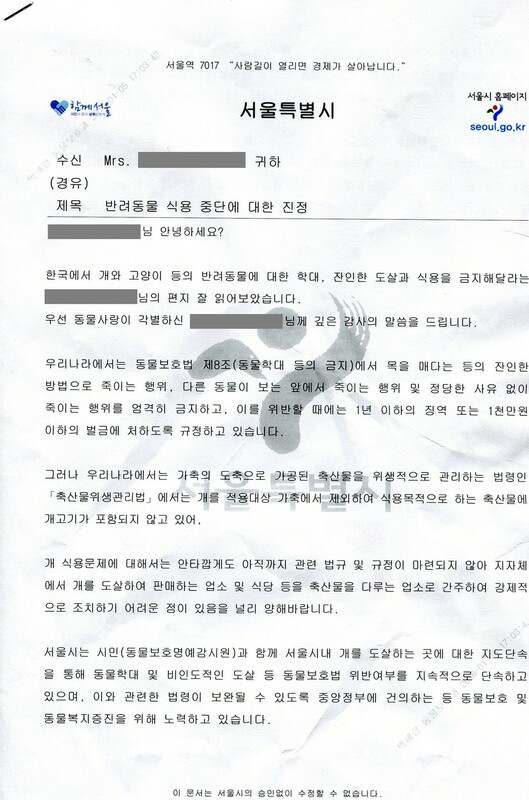 Basically the letter states that because the people of Korea wants to continue eating dogs, they can not stop it now!!! 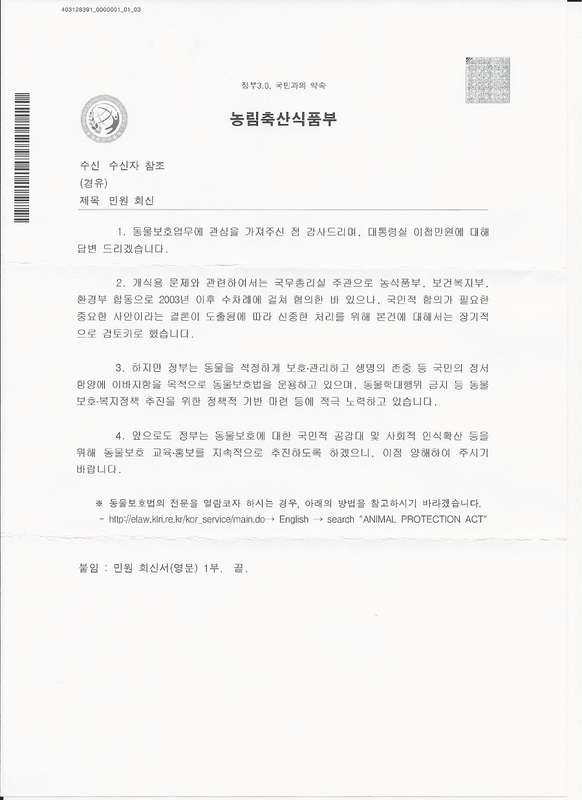 South Korea wants to continue to be the NATION OF BARBARIC TORTURE OF MAN’S BEST FRIENDS! 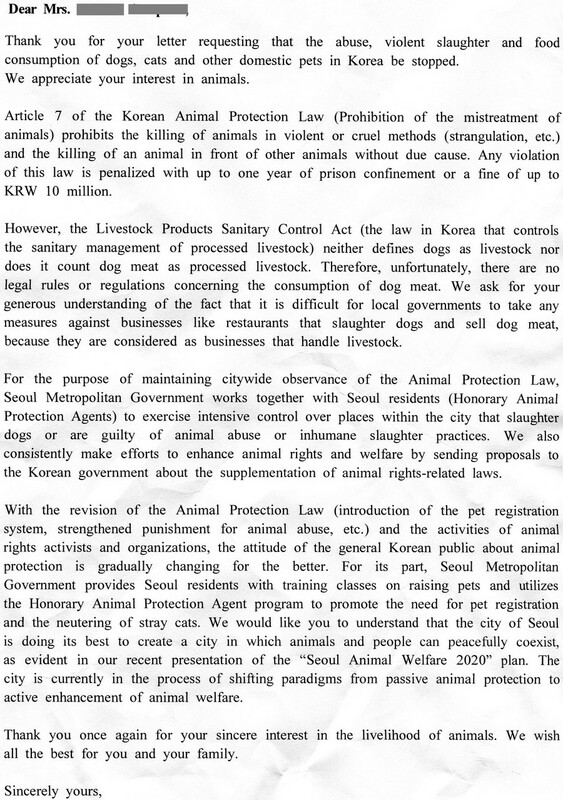 Below are response we received from the City of Seoul, South Korea.